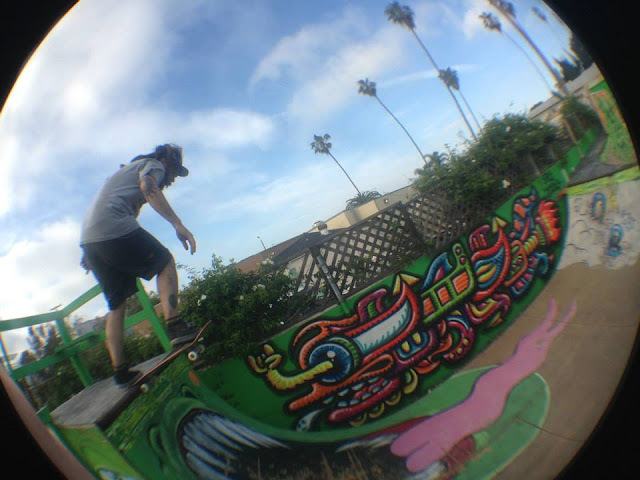 So for the past week n a half I've been cruising around San Diego n areas linking up with the local skate scene n painting. I've already dropped murals at Seedless Clothing's backyard mini ramp, Jake Brown music studio (inside the DC shoes monster ramp) and at Fabrizio Santos' backyard skate complex. You can check all the pics on my Facebook. Anyways, my solo art exhibition has been up at the Artlab for a week now and tomorrow is the last day, with a closing party. I will also be right across the street spray painting a mural during the day, as you can see from this ad in the weekly newspaper/mag "City Beat". So yeah, if you're in San Diego, get yourself there so I can say hello and/or goodbye! 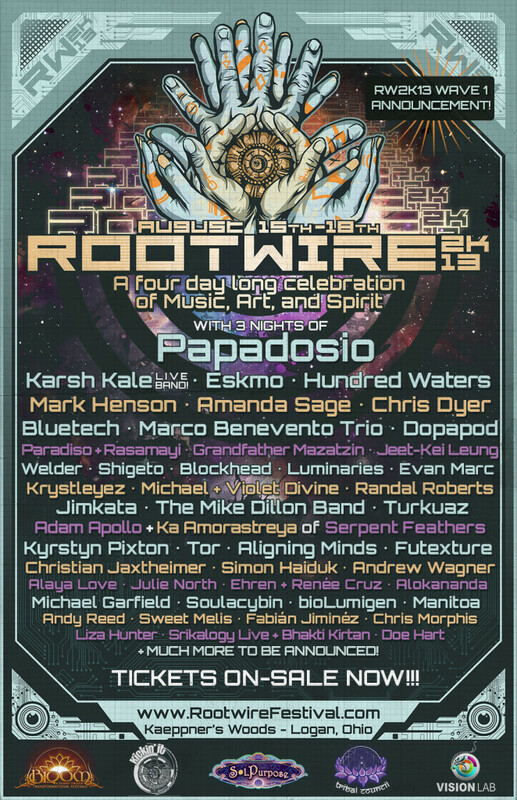 This summer (August 15th to 18th) I will be back at Rootwire Festival in Ohio. Here is the poster and I'm stoked to have my name up there's a headliner. 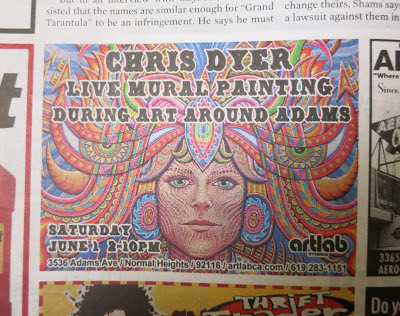 I'll be live painting, doing a speech, showing art n danxing to the good music. For more info go HERE. Germany's Mushroom Magazine just released their issue "Transer's Guide to the Galaxy". 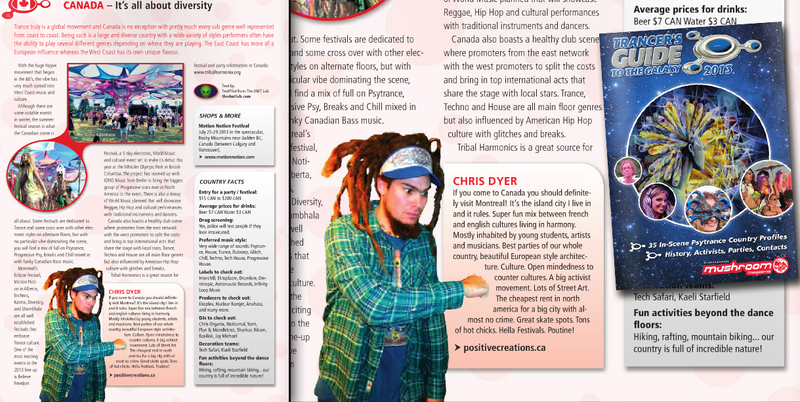 I was stoked that I get featured on the Canada page, talking about why i think people should visit my city of Montreal. See the whole issue online HERE. Heres another group art show Im part of, visionary styles in a Museum in Granada Spain, with the people of Dreams n Divinities book. Sweet. For more info, go HERE. This is the full page ad in the latest Decover Magazine, for a group artshow I am part of, which is raising funds to rescue animals. Though the opening already went by (oops sorry!) 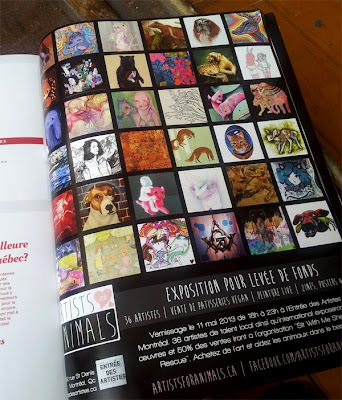 the art will still be up for 2 more weeks at "Entree des Artistes" gallery on 3692 Saint Denis, in Montreal. For more info go HERE. 1) Alchemistas- a visionary art book including the works by many of the best artist sof this powerful art movement, including myself. Go HERE. 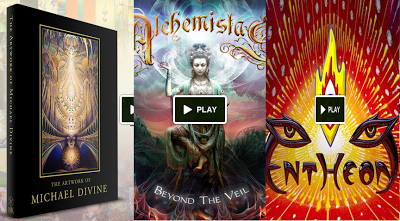 2) Entheon- Alex Grey is building a temple for visionary art in his land in northern New York, but it takes a community to make it happen. He is also having a fundraiser event this Thursday the 16th, where he will be auctioning one of my original drawings. Go HERE. 3) Michael Divine- another friend of mine is going to self publish a nice book of his art and needs help making it happen. You can pre-order your copies already. Go HERE. Talking of books, I still have plenty of my own hardcover book, which are always available on Amazon or from my human hands. 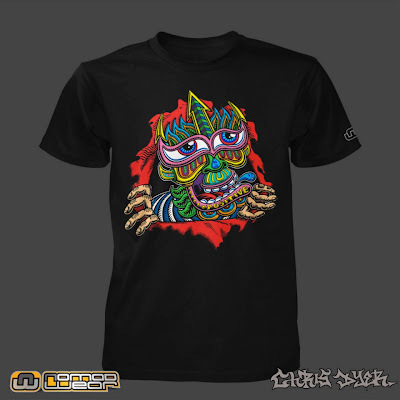 I just did this fun "Galaktic Dude" design, inspired by the 80's Powell Peralta "ripper" and it is already available as a tee you can get via Nomad Wear. Grab it HERE.